An odd shaped shower is great for personalizing a bathroom. On the other hand, it can be a nightmare to remodel. You might need non-standard products and to work hard finding items that fit odd angles and tight spaces. Where you shop is the all-important factor. American Bath Enterprises, Inc. sells standard and angled shower pans, shower wall kits, and bath enclosures. Shower remodeling comes with several challenges. These include fitting it in the space and using the best surfaces and equipment. When upgrading a bathtub wall, surround it with materials that are durable, match the décor, and serve the user’s needs. You can expedite a remodeling project with these additional tips. Bathroom contractors are familiar with every design imaginable. Employing their guidance and assistance can help you avoid mistakes that are possible when doing the work yourself. It also eliminates the guesswork and uncertainty. Hiring a professional doesn’t have to be complicated. If you search the internet for oddly shaped showers, there’s a good possibility of finding contractors who can help. Also, look for those in your local area using expertise-centric websites such as Angie’s List. Get in touch with one and schedule a visit to your home, where they can have a look for themselves and make recommendations. 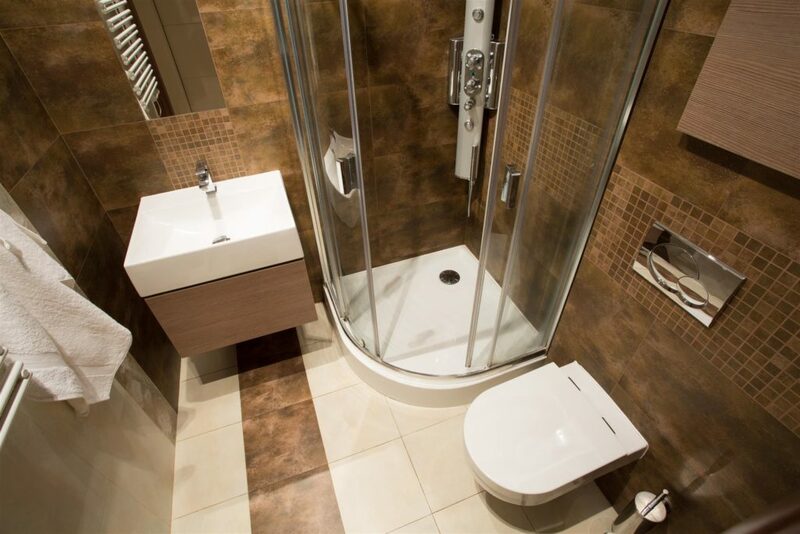 Traditional showers are rectangular or square shaped. Nowadays, it’s not as uncommon to find a one-piece shower stall with unique angles and sides. You might want to choose our Neo-Angle Model NEO36 if looking for corner shower stalls with alternative shapes. Complete units such as the Corner Shelf Model CS-1610 or our 2-Wall Shower Enclosure provide remodeling solutions if it’s an all-in-one purchase you’re looking for. Shower remodeling will likely include your bathtub wall panels. That requires deciding whether you want to have traditional tile to deal with, or easier to clean one-piece panels suited for modern shower tub units. Some suppliers offer glass walls and partitions and in-wall shelving for personal hygiene items. Support bars, seats, and window kits can make your bath enclosures more personal and functional, depending on your needs. Accessories can make all the difference and make the space more functional and vibrant. Also, the benefits of a wheelchair accessible, ADA-compliant shower system cannot be understated. Our system has a ramp, an adjustable hand-held wand, stainless steel grab bars, a folding seat, and pressure-balanced mixing valve and trim. It’s, therefore, a complete solution to remodeling that requires little effort in searching for the appropriate elements. You may be unhappy with your bathtub walls and tub shower enclosures. Gutting the entire bathroom may be more practical if the design doesn’t support your needs or desired results. Doing so lets you choose a shower pan and drain configuration that works. For shower enclosures, glass is often suitable as a functional and stylistic choice. A complete bathroom remodel takes more time. However, it does give you more flexibility in choosing one-piece shower stalls and other shower configurations that are more personal. Contact American Bath Enterprises, Inc. at 888-228-4925 to speak with an experienced professional about your odd shaped shower remodeling project today.